As the warm temperature of summer begins to fade away, people prepare for fall events that they don't want to miss. Feeling excited about their plans, they often overlook the threat of fall pests, and you don't want to repeat their mistake. When pests start looking for shelter and sources of food, your home could be the perfect target unless you take action to protect yourself. Addressing an infestation at the early stages is much easier than trying to eliminate an outbreak. You will want to learn about the type of pests that you can expect and how to secure your property from the threat. Safeguarding your home is a smart step in the right direction when your goal is to prevent pests from causing problems. Insects and rodents will use small holes to get inside of your home, but you can inspect the parameter of your house for access points. You can use caulk to seal small holes and cracks, but you should also check your heating and cooling system for problems. Ants will look for spills and open containers of food, and they will not waste any time when it comes to notifying the rest of their colony of a resource. If you are serious about keeping invaders away from you and your family, you can clean spills and place your food in sealable containers. If insects, rodents or other pests have already made their way into your home, you are probably wondering what steps you can take to get rid of them. Mouse traps will get the job done when your objective is to eliminate rodents and to stop them from spreading. A quick trip to the store will reveal several at-home pesticides that you can use to eliminate spiders, ants and more. When you decide to use pesticides, ensure that the product won’t harm your pets. Some people notice that solutions from the store don’t always offer consistent results, so you will want to try several options, allowing you to see what works the best. No matter what you do to keep pests away, you won't always be able to eliminate the risk. 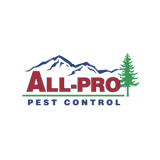 If you don't want to take chances, contact the team at All-Pro Pest Control immediately, and we will do what is needed to get your pest problem under control. If you would like to learn more about us or how we can help, give us a call.